If you are a self-proclaimed beer lover, then you should never miss the chance of tasting craft beer — especially one that is made locally. 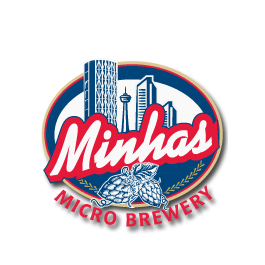 If you live in Calgary, then chances are that you are familiar with the Minhas Micro Brewery. If not, that’s okay — it’s only a matter of time before you are! Assuming that you know already a bit about craft beer and are interested in sampling some, then this micro-brewery should be your first stop. After all, it produces what is often hailed as the “best Calgary craft beer”. Don’t believe us? Then why don’t you come and see for yourself? Craft beer can’t be compared to commercially produced beer. Not that there’s anything wrong with the latter… but you get the idea. If you’ve never had the chance to try craft beer, then next time you’re in Calgary, take a day off, bring some friends along and come have a good time at the Minhas Micro Brewery. The latter offers Calgary brewery tours that lasts between 45 and 60 minutes and only costs about $10 per entry. If you are totally new to the world of craft beer, the Minhas Micro Brewery will offer you free samples and teach you a bit about craft beer and how it’s made. All in all, it’s the perfect opportunity to expand your horizon and your knowledge of craft beer, especially if the last one is lacking! Fore more information, we encourage you to take a look at our website. There you’ll find plenty of information about our history, our brewery tour as well as the brews that we produce.